The poor old PC has a rather poor history when it comes to the humble wrestling game. The PC was a barren wasteland of wrestling games, with the release of WWF Raw way back in the early 2000s being the only title for many years, aside from independent games such as Wrestling Mpire of course, then we had the cancelled Smackdown vs Raw Online disappointment. Things today are different naturally, with the WWE 2K games releasing yearly, but let’s face it, the 2K games have become rather stagnant. In 2018, the WWE has little competition, in turn that means that there are few rival wrestling games to 2K’s behemoth franchise. Games from other companies have been released over the past decade, but NJPW’s Wrestle Kingdom games were never released in the west and TNA’s Impact game was just poor. So maybe it’s time to look toward a new wrestling game, a game which has no affiliation to a company at all. Enter, Fire Pro Wrestling World. 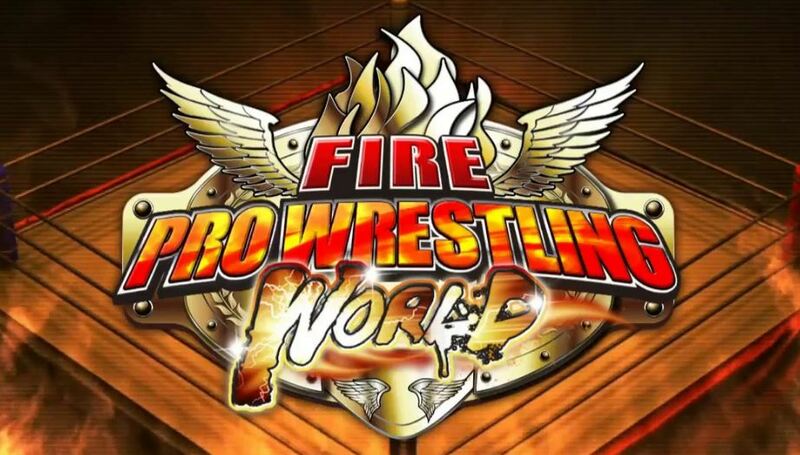 If the name Fire Pro sounds familiar then you’d be correct: it’s one of the longest running wrestling game series ever. I was lucky enough to play this game on the SNES, and at that time it was probably the best wrestling game available. But the series hasn’t seen a new entry since since Fire Pro Wrestling Returns in 2005 (or 2008 if you count the European release), and it was one of my picks for games that desperately need a reboot. Just for the record, I’m not counting that Fire Pro Wrestling avatar game that appeared on the Xbox 360 as I’ve no idea why that bore the Fire Pro name. Luckily, the video game gods listened and Fire Pro Wrestling World entered early access on Steam last year. While it isn’t a reboot, this game is a modern update of the classic formula. The gameplay was always spot on, so that has remained pretty much untouched. The graphics, while retaining their classic style, have had an overhaul. They keep their distinctive look but are now fully HD, so not to annoy those 4K’ers, but while the game looks bolder and brighter than ever, the definition shows up the sprites somewhat. Basically, the sprites in Fire Pro are made up of ‘pieces’: the game has a insanely good create-a-wrestler mode, and its the ‘pieces’ that make it so good. When designing a character you get to choose each piece of the body separately. The hair, head, upper torso, lower torso, upper arm, forearm, hand, waist, upper leg, lower leg, and foot are all separate pieces of a single sprite. In HD, this shows up during a match, making the sprites look like 2D ‘paper style’ sprites. It’s not a negative point at all, but it’s hard not to notice when you know. Despite this, the sprites still manage to look wonderful. The arenas, animated crowd and ring all look fantastic, and the feeling of being in a match before a live crowd feels more real than any wrestling game before; it certainly trumps the WWE’s efforts. FPWW is full of customisation, as mentioned before, building wrestlers from individual pieces allows players to create detailed sprites of pretty much any wrestler available. Fire Pro’s extensive collection of moves, taunts and even the ability to customise the attitude and behaviour of each wrestler in a match allows you to create accurate versions of well known wrestlers. Thanks to the Steam Workshop, it is now possible to download famous wrestlers from around the world and recreate famous matches such as Hogan vs Andre, Omega vs Jericho or go completely off track and pit The Rock against George ‘The Animal Steele’. Also ,thanks to the implementation of using MP3’s as entrance music (the first wrestling game to do so since 2003’s Raw 2), wrestlers’ entrances feel authentic. The other edit modes are also pretty good, with a detailed create-a-belt and create-a-ring rounding off the best editing options in a wrestling game in years. The game has pretty good, but standard music for during bouts, energetic and upbeat, it matches the gameplay without being overly intrusive. Wrestlers entrance music is all in house music, basic but effective stuff, but as mentioned before the inclusion of MP3’s as entrance music allows the game to feel a bit more close to life. The menus are bright and easy to use but are more suited to the use of a controller, however, they smartly added the feature to click options a while back. That being said I found some of the menus a little laggy, especially the wrestler select screen, which seemed to take a long time to load each preview sprite. Reading up on this issue, it seems that it isn’t widespread, so could be an issue at my end. While the game can be played with the keyboard, it is really much more suited to controller play, which isn’t an issue for me at all, but it could be for some. As expected, the left stick moves you around, while the right taunts. The game features weak, medium, and big moves all assigned to a button respectively. Another button controls running and irish whips, while holding two buttons together allows you to perform a finisher – these moves do vary based on where your opponent is. Fire Pro has a steep learning curve, but once you get to grips with it, it becomes like second nature and is very rewarding. Start with weaker moves and build toward something heavier. 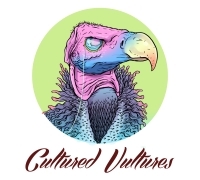 The game features several game modes and match types, including tournaments, leagues, battle royales and mission modes, alongside deathmatches (barbwire/landmine), cage matches, multi-man matches and tag matches. This may disappoint some modern wrestling fans, used to western match types such as ladder and table matches, but Fire Pro was always more focussed on Japanese style wrestling. Also, despite the game modes, many fans may mourn the lack of a season or career mode. The closest you get is Mission Mode which doubles up as the FPWW’s tutorial mode, alongside tasking you to complete certain objectives in a match. The online mode is a nice touch, and while it initially had issues getting into matches, this seems to have been sorted. The roster also may disappoint many long-term Fire Pro fans. The usual huge roster of fake legends are nowhere to be seen, and they’ve been replaced with a bunch of generic guys. This has most likely been done to avoid any potential trademark issues, especially as WWE seems to be collecting legends these days. Wisely, they are aware that fans will most likely create any wrestler known to man, so pop along to the Steam Workshop and you can add as many famous wrestlers from around the world as you like. When this game comes to console they’ll most likely have a similar setup to the download CAW mode for the recent WWE games. The future also looks bright for Fire Pro Wrestling World. Along with future updates, they’ve recently announced new DLC, which adds real stars from the New Japan Pro Wrestling roster to the game as well as a long awaited career mode. Fire Pro Wrestling World already has a DLC character added to the game, that of legendary Japanese wrestler Yoshihiro Takayama and it costs £2.09, with all proceeds going to Takayama himself, who suffered a broken neck in August 2017 and is currently paralysed from the neck down. A well worthy cause. The best wrestling game available today? Probably, but Fire Pro won’t suit everyone's tastes.